Have you been overloaded with email lately? Does your inbox look more like 5,296 unread messages than inbox zero? 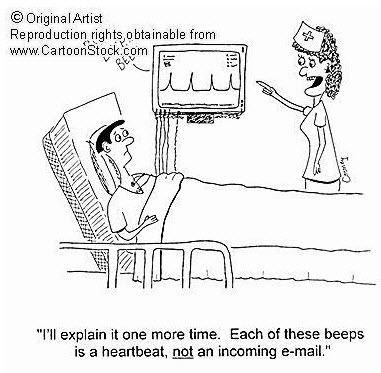 The patient in the email comic below is a bit confused with the reading on the monitor: he must be used to getting a lot of email! If you’d be like this patient, it might be time to trim down the daily email volume that is reaching your inbox. Head over to this post which contains some tips on inbox overload management.